Barcelona has so many passions to discover, from football to fashion, art, architecture and language. It is a perfect hub for every subject which makes it a great option for a multi-subject school tour. Gaudi’s masterpiece, this large, sand-coloured Catholic church has fluid forms, towering spires and surfaces overflowing with sculptures. It is still under construction even though it was started in 1882. Gaudi spent the last 40 years of his life working on this project and it isn’t scheduled for completion until 2026. Stroll down Barcelona’s most famous street, separating the barrios of La Ribera and the Gothic Quarter. Locals and tourists bustle around the stalls selling trinkets, flowers and pets, the smart shops and Boqueria market, or just enjoy a café con leche while watching street performers. Photo © Alberto Cabello Mayero. Set in the home of FC Barcelona, the Nou Camp Experience gives students the chance to walk through the most emblematic areas of the stadium. See the away team changing room and the players’ tunnel, the dugouts, the press room and commentators box. Then visit the modern museum with its interactive wall spaces and large-scale audiovisual displays. Gaudi has let his most whimsical ideas take flight in this enchanting landscaped park, high on a hill in the Gracia district. It contains amazing stone structures, mosaics and fascinating buildings festooned with dragons and natural shapes, plus the spired house where the artist lived for most of his last 20 years. The museum has the most complete collection of works by Picasso – with more than 3,500 paintings, drawings, engravings and ceramics. Picasso moved to Barcelona in his teens, and the museum reveals his relationship with the city. Look out for the important works The First Communion and Science and Charity. The Teleferico of Montjuïc is a four-person gondola which takes you up the Montjuïc Mountain to visit the old military fort. The journey takes approx 8 minutes and includes a mid-way stop at Mirador del Alcalde with some superb harbour views. 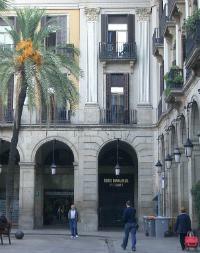 Established in 1975, this foundation owns some of the most representative works by the Catalan artist as well as many by other contemporary artists. It contains more than 10,000 pieces including paintings, sculptures, sketches and tapestries. 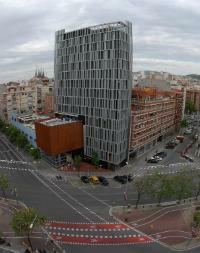 Designed by Josep Lluís Sert, the building has an open-plan structure inspired by traditional Mediterranean styles. Set at the foot of Montjuïc, Pueblo Espanyol is an open-air architectural museum with streets and squares reproduced to scale. It was built in 1929 for the Barcelona International Exhibition. The aim was to produce an ‘ideal, model’ Spanish village where the architecture, style, and culture of various locations around the country were preserved in one place. Photo © Olga Palma. This is one of the largest theme parks in Spain located in Salou on the Costa Dorada. Magnificent shows and magical rides – including the tallest rollercoaster in Europe – are split into six different sections: China, Polynesia, Mediterranean, Sesamoaventura, Mexico and the Far West, and there is also a an aquatic Park. This unique theme park is the latest addition to PortAventura World, dedicated to the prestigious Italian firm and its F1 racing team. The rides and attractions are imbued with the Ferrari spirit; combining speed, cutting edge technology, innovation, design and adrenaline. Ferrari Land can be visited on its own or combined with the PortAventura Park. Discover the narrow, winding streets of the Gothic Quarter in Barcelona. Spot the contrasts between the old and new architecture amongst the bustling commercial area of Calle Portal de L’Angel. Highlights of the area also include the Barcelona Cathedral! Centrally located on the Avinguda de la Catedral this museum, dedicated to the world renowned architect Antoni Gaudí, houses a unique collection of exhibits, documents, original pieces, models and digital creations. Using multi-media content and cutting edge technology the Museum looks at Gaudi the man, his revolutionary working methods and his innovative and inspirational works. Audioguides or guided visits available. Students are encouraged to work in teams to collect keys and be in with a chance of unlocking the winning box. The quest visits many iconic landmarks from La Rambla to Plaça Real, and involves an exciting mix of treasure hunt-style clue solving and team activities. Whilst discovering the cosmopolitan capital of Catalonia, children stay engaged until to very last minute when the winning team is finally revealed. Enrichment or MFL version available. Explore two incredible cities with your school group and open their minds to new cultures and ways of life. Students can enjoy the magical rides, shows and attractions on a school trip to Disneyland® Paris. We’ll arrange everything for you so you can enjoy the magical kingdom as much as your students!